Adam's blog was found in the early stages of the game, through a link in an email sent by E.Y.E.. When the blog was first discovered, it included a single post, written in English. however, parts of the text presented on the pages of the blog were in Dutch. This was later explained in the "Bug" fix post on the same blog as un-intentional. Adam posted the initial entries of the blog while on a trip to Europe (possibly in the Netherlands) and the blog system simply picked up his current location. The blog has since been fixed to display all of its content in English. I'm probably the last journalist in the world to start blogging, but you know what they say; better late than never. In this blog I will keep my regular readers up to date on things I'm interested in and things I'm investigating for stories. Just to let you know, I miss you a lot and I hope you get home soon! I'm worried, I can't reach Dante. Are you two in touch? I heard he is no longer adding friends to his MySpace and not responding to mails etc. Can you try to see if you can get in touch with him through his MySpace and tell him to no longer hide from the world? Ps. Still no word of Dante. One story that has always fascinated me, is about the Lost Roanoke Colony. Here's some text I found about it, for those who don't know what I'm talking about: The first English colony in the New World was on Roanoke Island. There were two major groups of settlers who attempted to establish a permanent settlement at Roanoke Island. Each of the groups failed. The fate of the last group remains an unsolved mystery. In 1587, the English attempted to settle in Roanoke for the second time. John White left the colony to get supplies for the colonists. He expected to return to Roanoke Island within three months. Instead, he found England at war with Spain, and all ships were confiscated for use of the war efforts. Due to the ongoing war, White's return to Roanoke Island was delayed until 1590. When he finally returned, the colonists had disappeared. 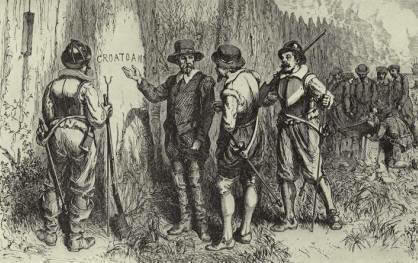 The only thing he found were the letters C-R-O carved into a nearby tree and the word CROATOAN carved into a fencepost. So, what do you think happened to the settlers? I personally believe that they joined an Indian tribe. The Croatoan image was maybe not always on the blog? My idea is that the truth is a mixture of theories. I suspect that indeed some of the settlers did join a tribe, but I think this happened after a large part of them was wiped out. Some scientists think it was a virus. Have you ever heard of the Croatoan virus? I finally get the chance to visit your blog. Mysteries like that intrigue me. I see that we have a common acquaintance (The Secret Organisation). I too have been hearing about the Croatoan virus. Well, you know how to find me. Dante, always good to talk to you! We need to hang out soon as I'm back from my trip. It seems that the Croatoan thing is used symbolically for something big. Something that scares the… well, it bothers me. Let's leave it at that. Speaking of not being in the U.S.
T.S.O. before you removed your blog, I noticed that certain parts were in a specific European language. However, as your page originally had parts of text in that same language, I wonder, are you following me? We are everywhere, so no need to worry. Time might not be as straightforward as you think. Open your mind and ditch your watch. Someone may very well be who he says he is. So, today the weirdest thing happened. As a journalist I'm used to getting approached by all sorts of idiots, but never like this. Somebody has approached me through email (that's the reason I try to keep my address secret!) claiming he is from the future and here to save mankind. Now, as said, I get approached by a lot of attention seekers. 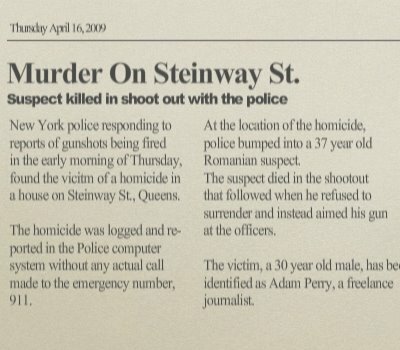 What was so curious about this guy is that he did not push his story. Most idiots have you reading half a bio, but not this guy. "I am from the future. You might not believe me, but eventually you will. Before that time comes you will need to decipher riddles and mysteries. You will be in need of this soon." No name, no crazy arguments, nothing. Funny thing is that I tried to reply to his email address and received a notice that the address does not exist. How can I forget? The stranger sent me some very intriguing scan of something. I wonder what I will be using it for. FOR: this was, for now, all he sent me. The exact words and the image attached to the message. goodoldmartha: honestly, I have no clue. So, how he/she got it, I have no clue. That would be ridiculous,of course. Just a shorty for now. It was pointed out to me by Dante that parts of my blog were in a language which my American friends could not understand (especially Dante ;-)). Those of you who know me personally, know that I'm currently on a "trip" in Europe. But, don't worry, the page and its navigation should be in English now. (I'm sure I set it to English when I launched the blog, but the computer must have decided that I can not possibly be an American who is not in the U.S. Of course, computers know best - excuse my sarcasm). The shops are about to close over here and I still need to get some groceries, so I'll catch you later. Well, I'm still kind of bothered by that email I wrote about the other day. Every now and then I try to contact the email address, but unfortunately all I receive is an Undeliverable notice. I'm not much of a tech guy, so maybe some of you can figure out what is wrong. However, as you succeed in contacting him/her, please be polite. (I feel kind of bad about sharing somebody's email - even though it is not working - while I'm so secretive of my own personal info). I have no specific date of returning, but I hope soon. Europe is cool, but nothing beats good old home sweet home. 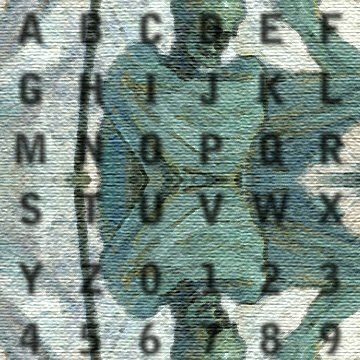 I'm investigating something that seems to have a connection with certain things that have been hinted at in the comments to some of my posts. Great! I would have never cracked it. I'm a bit of a noob when it comes to this Internet thing. (Which is ridiculous, as I can be considered an Internet journalist). As for the message, I can only wonder why he mentions Dante. I haven't been able to reach him lately. I expect T.S.O. to have similar motives. By the way, Dante edited the photo for me. He's the computer wiz. I know he's always programming something. Adam, go to the place that's safe. Backup is on its way. you are in great danger. I thought I noticed some people were following me today, but I have succeeded in shaking them off. As they are out to kill me, I might as well accept your offer to join T.S.O. I will hide and wait for you to contact me. Quite busy due to my new affiliation. But I love it as I get to spend a whole lot of time with Eve, as colleagues that is. Europe is cool, but nothing beats home. Plus I found a new lead. 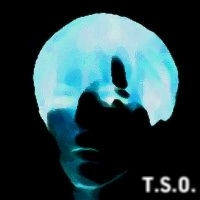 Adam also changed his avatar image to include the 'T.S.O.' initials; seems to have joined the TSO faction. See Adam's entry for the original avatar. T.S.O. and I will definitely try to protect Eve. But, I think we can use all the help we can get. Make sure you get in on the upcoming T.S.O. chat. There seems to be some "random activity" at E.Y.E. 's location. Maybe it will expand into new territory the next couple of days. When this post was published, some of the sentences on E.Y.E. 's Home Page started linking to other IG sites. Just decided to share that with you. What do you guys mean? It just seems too much sci-fi for me. But I'm getting used to the idea. The future guy has not replied to my e-mail in which I asked to send over the winning lottery numbers for next week…bummer! I will always love you and miss you.